 UKDN Waterflow > News > It’s not the giant fatbergs you should be worried about. It’s not the giant fatbergs you should be worried about. Thames Water recently reported finding the biggest fatberg in the country, the size of a bus, within drains in Kingston, Surrey. But UKDN Waterflow’s Gary Webb says it’s not these huge fatbergs that should be concerning home and business owners; it’s the smaller fatbergs forming in sewers underneath property for which they are liable for. 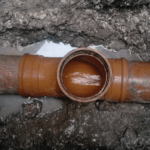 Of course UKDN Waterflow can help get householders and businesses out of trouble once a fatberg appears, with reactive clearance of drains for which they are responsible. And no one wants major sewer blockages in a local area, which can cause flooding and inconvenience to all and a heachache for Water & Sewerage companies (WaSCs). But it’s estimated that Britons pour 15 million cups of fat down the kitchen sink on Christmas Day alone, and millions of cups more throughout the year,which will transform into a hard soapy material that will block drains and sewers. ‘Fatbergs’ are becoming a common phenomenon throughout the country. Increasingly engineers are having to deal with an increase in sewer blockages, many caused by grease, fat, or oil solidifying in pipes. Thames Water estimates that 7000 of the 80000 yearly blockages are as result of grease fat and oil blockages. It’s calculated that the cost of removing fat, oil and grease from sewer pipes adds up to £50m a year to household bills. It gets worse if you are in the restaurant trade, as a messy closure of an establishment due to blocked sinks and toilets affects both income and reputation. UKDN Waterflow’s Gary Webb commented “Fatbergs are the new ‘Titanic’ for householders and businesses, that can sink daily business operations or cause sewage to flood homes. We’re advising all our household customers to pour their fat and oil into a container, and leave it to cool and solidify. Once solidified, they should scrape it out into a sealed bag and put in the bin. And of course they should avoid putting other items down the drains that could end up being glued into an ever expanding mass, that eventually will block the flow.